KiWi, a digital platform for micro-merchants based in Lausanne, has raised a Series A of CHF 3.2 million ($3.2 million) for growth in Mexico and expand into one of the neighbouring markets. The round was led by venture capital funds Investiere and Polytech Ventures, and supported by the Symbiotics fund and the 1to4 Foundation. 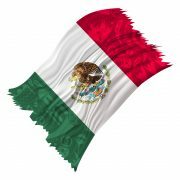 KiWi, which is the trading name for eBOP, has been present in Mexico since 2015, and has around 20,000 SME customers in the country who can accept electronic payments from their customers directly from their mobile phone. “By combining payments and microcredit, KiWi is one of the most promising initiatives for microfinance,” says Vincent Dufresne, CRO and co-founder of Symbiotics. Entrepreneurs can also apply for microcredit, as the firm uses algorithms that analyse the user’s cash flow. The firm says these micro-businesses would otherwise have no access to bank loans. KiWi includes French economist Jacques Attali on its board of directors.